On the screen, battleships move into position and train their turrets on a spot in the middle of the ocean, aiming at a skyscraper-sized lizard, rising from the deep. This rough beast isn’t slouching toward Japan, and this movie isn’t any of the series of giant-monster pictures produced by the Toho Company. This is Gorgo, a 1961 film from independent producers Frank and Maurice King, previously best known for backing grubby, inventive crime stories like Dillinger and Gun Crazy, during the heyday of film noir. With Gorgo, the King Brothers spent a pile of money, in hopes of cashing in on yet another trend. In the process, they helped that trend grow even bigger. It isn’t really fair to call Gorgo a straight rip-off of Godzilla without mentioning that Godzilla was itself a rip-off of 1953’s The Beast From 20,000 Fathoms—which was co-written and directed by Eugène Lourié, who also co-wrote and directed Gorgo. That said, it’s doubtful that Gorgo would have existed without Godzilla. The international success of Toho’s first monster movie kept the genre alive long enough to birth Gorgo. And reaching back further, The Beast From 20,000 Fathoms came into existence in part because when the movie studios started selling packages of their old films to television in the early 1950s, it led to a revival of interest in King Kong and Mighty Joe Young. One giant monster feeds another. Plot-wise, Gorgo is more in the King Kong/Mighty Joe Young mold than Godzilla. A group of seafaring treasure-hunters are waylaid by a volcanic eruption off the Irish coast, and while they’re recuperating in a small fishing village on Nara Island, a 65-foot-tall dinosaur-like creature emerges from the ocean and starts stomping around. The leaders of the treasure-hunters, Captain Joe Ryan (played by Bill Travers) and Sam Slade (played by William Sylvester, best known for playing Heywood Floyd in 2001: A Space Odyssey), see a potential fortune in ridding grateful Nara Islanders of a scourge and in putting a one-of-a-kind animal on exhibit, so they capture this “Gorgo” and sell it to a London circus. Kong/Joe-like mayhem ensues in downtown London, but with a twist: It turns out that Gorgo is just an infant, which means the city gets demolished by its 200-foot-tall mother, Ogra. 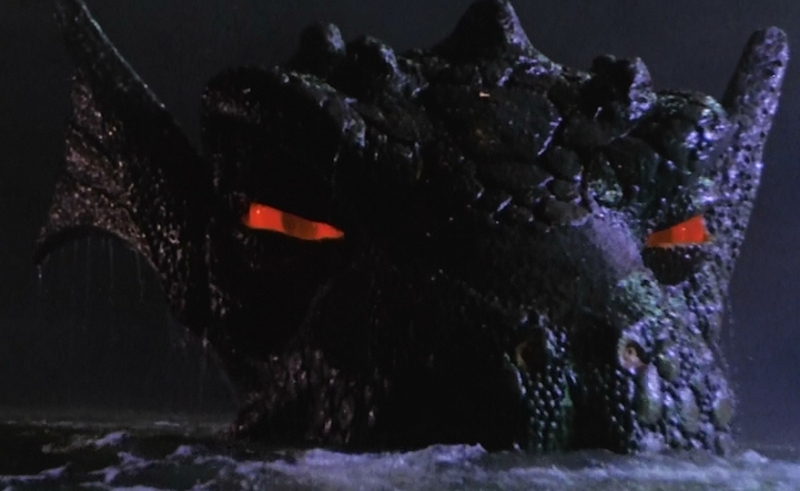 The bigger question is whether Gorgo has anything to say about the United Kingdom circa 1961, as the original Godzilla does about post-World War II Japan. The answer is a qualified “yes.” Neither Lourié nor the King Brothers were English; as it happens, London wasn’t anyone’s first choice for Gorgo’s setting. (Believe it or not, the Kings originally wanted to make the movie in Tokyo; Lourié had already made a giant-monster movie in London, 1959’s The Giant Behemoth.) But the location isn’t incidental. Even aside from the way Ogra trashes familiar London landmarks—Cheerio, Big Ben!—there’s some meaning to the arc of Gorgo, which moves from an idyllic Irish countryside, where the locals try to ward off the monster with rocks and torches, to a cynical, modernized London, which is well-armed, but perhaps a little less dutiful, in the decades after The Blitz. Gorgo takes the measure of the national character in the early 1960s, and finds the country folk commendable and the city slickers wanting. The Blitz is referenced specifically by a reporter character who pops up periodically during Ogra’s rampage. The reporter (played by Maurice Kaufmann) evokes Edward R. Murrow, whose radio broadcasts from a London under siege formed a lot of American moviegoers’ mental picture of the city. Gorgo came out a few years before the post-Beatles wave of Anglophilia, and it relies on images of the United Kingdom and Ireland that Americans would already be comfortable with: the lush greenery of West Ireland (reminiscent of The Quiet Man), shots of the British navy and air force (as seen in countless WWII movies), and the colorful London of Walt Disney films. Gorgo even adds a Disney-esque moppet, the conscience of the story, pestering Ryan and Slade to leave Gorgo alone. In the DVD featurette “Ninth Wonder Of The World: The Making Of Gorgo,” Lourié is quoted as saying that his own child influenced the story. After seeing The Beast From 20,000 Fathoms, Lourié’s daughter Anita complained, “You were bad, daddy! You killed the nice beast!” Gorgo adopts the open-minded, empathetic perspective of the extremely young, while Ryan and Slade represent the brutish arrogance of grown men, who laugh off the scientists who warn them of Ogra’s existence (“You’re going to stir up a whole hornet’s nest because of a few calculations on a piece of paper? Nuts to that!”), and can’t see why anyone should be afraid of an overgrown animal. (“This is the 20th century!”) That’s another way Gorgo calls back to King Kong: It’s about misguided men of action who ignore all the warning signs, because they’re certain they’re smart and strong enough to control any situation. Gorgo had its world première in Tokyo, and became a sizable hit in Japan, which played some small part in Toho reviving its Godzilla franchise, and helped change the tone of those later Godzilla movies, so the monster was less of a threat. (A different Japanese studio, Nikkatsu, also made a semi-remake of Gorgo called Gappa, which had a mommy and a daddy monster looking for their captive baby.) Gorgo was pricey for a King Brothers picture—it cost more than half a million dollars, causing the producers to cancel other projects they had in the pipeline—and the extra expense manifests in some impressive effects during the Ogra scenes, which feature a little extra heft to the debris, and a few more points of articulation to the monster suit. 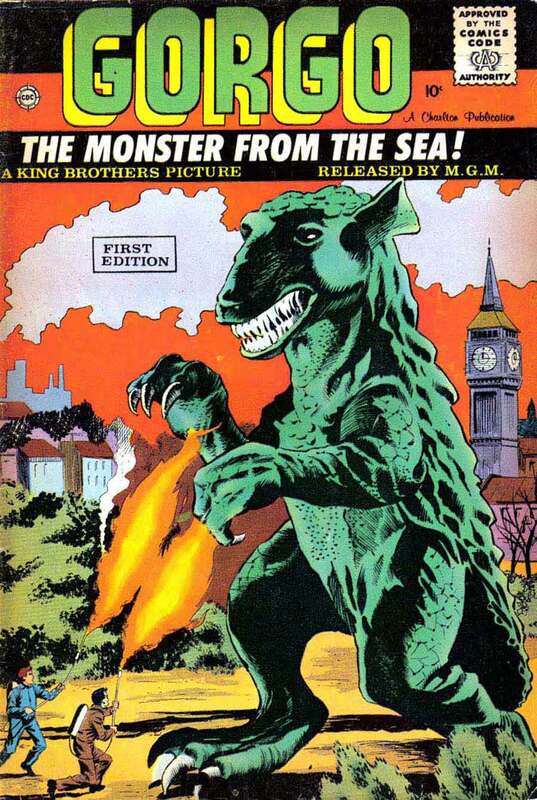 All of that helped make Gorgo a big enough success to spawn a Charlton Comics series (which ran for 23 issues, reportedly selling more than 200,000 copies initially), illustrated by Spider-Man artist Steve Ditko. But Gorgo didn’t spawn any sequels—except spiritually. When circus promoter Mr. Dorkin (Martin Benson) boasts that he spared no expense to slap together an enclosure for Gorgo, it’s hard not to think of Richard Attenborough’s John Hammond in Jurassic Park, or of Jurassic Park sequel The Lost World, which has a Gorgo-esque third act, with a giant tyrannosaurus rex tearing San Diego apart, looking for its offspring. It’s odd that that filmmakers keep returning not just to this genre, but to the same basic plot-arc for this genre. Vampire and serial-killer stories have been told a myriad of ways, but a few outliers aside, giant-monster stories tend to hold to a few common beats. Maybe that’s because the latter didn’t spring from folklore in the way some of the more ancient monsters did. The themes of movies like Gorgo are as old as mythology, grappling with what the Greeks called hubris. But the people tampering in God’s domain here are more modern, persuaded that technology will always insulate them from these forces of nature that rise and roar, from sea to sea. Our Movie Of The Week discussion of Godzilla ends here. Don’t miss Tuesday’s Keynote on the film’s atomic-age anxieties, and Wednesday’s staff forum considering its place in monster-movie history (and history in general). Next week, we’ll discuss the prophetic horrors of David Cronenberg’s cult classic Videodrome.